2010 was the year music changed. Kanye West, perhaps the most polarizing figure in music, released My Beautiful Dark Twisted Fantasy, a concept album that shattered the rap barrier with its wide palette of offerings and incredible production and lyricism. But what many forget is that the prelude to the album was a series called G.O.O.D Fridays. Taking over the fall of 2010, in anticipation of his new album, West continued to keep fans at the edge of their seats as he churned out hit after hit for fifteen consecutive weeks, every Friday. Rolling back the clock to 2010, I wasn’t as cemented into hip-hop as I am now. Currently, my daily routine involves waking up, checking Rap-Up or HYPETRAK to see if I have missed any releases while I was asleep and then continuously checking Twitter for releases through the day. Back then, it was different. This was before SoundCloud, before Twitter was the stage it was now, before artists had their voice consistently on the radio. Back then, it was up for the artist to connect to their fan by themselves. Six years ago, Kanye West was as impactful as he is now. He was making strides with his Air Yeezy range with Nike and he had released some of musics grandest hits in The College Dropout and Graduation. G.O.O.D Fridays was just another stage in carving his legacy. For fifteen weeks, West put out single after single, each possessing the quality to be on an album. This was West’s release from any conformities he might have had to follow. Artists are expected to create albums, artists are not expected to create fifteen singles over fifteen weeks solely for the fans enjoyment and without profit. This was West’s creativity being exemplified, while putting G.O.O.D Music talent such as Pusha T or Big Sean in the spotlight alongside him. 35 artists collaborated to make those fifteen weeks special. Shifting from politics to fashion, from struggle to success, G.O.O.D Fridays had it all. It was the wide spectrum of West’s creative endeavors rolled into a fifteen span week where the talk of a large community was this one unifying figure that, with every new movement, would cause a tremor. While tracks such as ‘Monster’ and ‘Devil in a New Dress’ did make it onto My Beautiful Dark Twisted Fantasy, for the most part, the content was unique, and that’s what made it special. Not being bound to the restrictions an album bodes, West released his true abilities, and wide arching talents that culminated in what is one of his best, but yet most underrated projects to date. After prior incidents caused West to be depicted in the wrong light, G.O.O.D Fridays was more than just about the music. It represented his return to the grand stage, and his omnipresent presence within his following. G.O.O.D Fridays was not what his label asked for, nor was it put out for critics or media to re-evaluate him as an artist. G.O.O.D Fridays was created to create that flame with his fans once again. 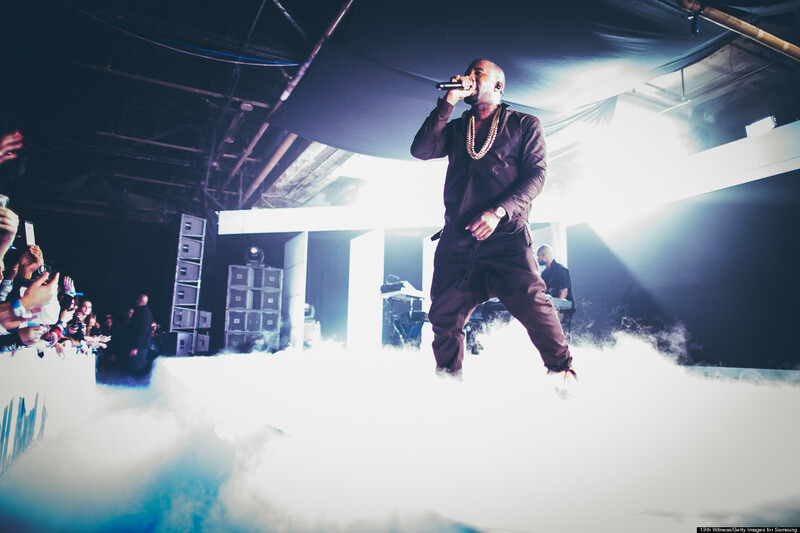 G.O.O.D Fridays was West’s return to the musical spotlight. I anticipated Fridays those six years ago, potentially for the wrong reasons, but nevertheless, a new Kanye West single only added to the enjoyment. Now, Fridays are made with him. Now, older and of better understanding of the impact he has had on the music industry, I finally understand the significance behind it, especially in an era where it’s so easy to communicate through platforms such as SoundCloud, Twitter or even music streaming outlets. Walking around London at night, I find myself checking my Twitter for the long-awaited tweet from @kanyewest with the link to his latest G.O.O.D Friday release. FACTS, without a doubt, was a statement. West was back in the limelight and he announced it by taking his anger out on Nike. Real Friends and No More Parties in LA are the real pieces of talent that take fans back to that early 2000’s production and lyricism West presented on albums like Graduation. Much like in 2010 when the emphasis was on the talent around him and not just himself, Kendrick Lamar’s lyricism shines through on No More Parties in LA and it only strengthens the track. West is making a statement that after a year without releasing new content, he is back. SWISH is slated for a February 11th release, which means G.O.O.D Fridays is likely to be shorter, but much like in 2010, it’s all about the quality. At the conclusion of those fifteen weeks in 2010, My Beautiful Dark Twisted Fantasy was released. The fourth quarter of 2010 belonged to Kanye West. As of right now, he has posted two singles that have pushed him back at the forefront. Could we be about the witness a repeat of history? Ankit Mehra is the Co-Founder of New York Sports Hub as well as a Staff Writer for The Daily Street. Ankit was born in Mumbai, India and currently resides in London, England. On New York Sports Hub, Ankit is the Editor for the Knicks and Yankees while he provides columns on hip-hop and fashion on The Daily Street. Outside of sports, Ankit enjoys listening to hip-hop, and is a sneaker and street wear aficionado.